Three strands of carved emerald rondelle beads on a braided necklace. This necklace is ornate and pretty but would not be very durable-- the thread the beads are strung on is thin. Could be worn but we recommend restringing. 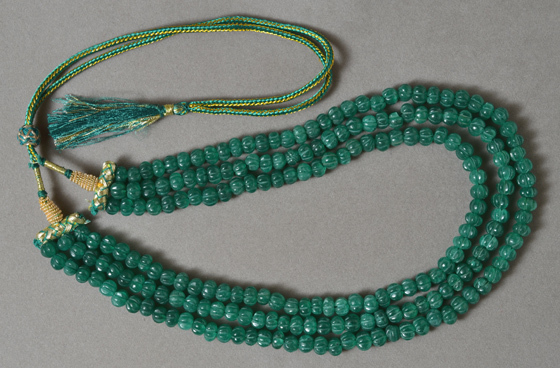 These translucient beads are from India. They are rubbed with dyed olive oil to enhance color.